Money Rain for the CDU shortly after the election ! Last week, the party ‘s return to her credit three large donations from members of the BMW family , a total of 690 000 euros . 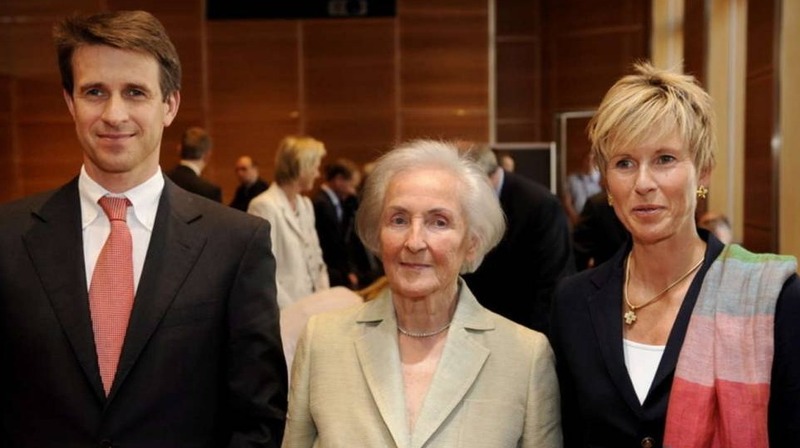 As published on the website of the Bundestag , Johanna Quandt donated as well as her children Susanne Klatten and Stefan Quandt, the CDU 9 October 230 000 euros each. Of the CDU was pointed out that it had itself made ​​the report to the Bundestag . The Quandt family belonged for many years to the major supporters of the CDU. Stir the money transfer provides for a nearly parallel political decision on stricter emission standards for cars in Europe. Germany prevented this on Monday at a meeting of the 28 EU environment ministers in Luxembourg an agreement. Already found a compromise to be changed again. The organization LobbyControl criticized the grants : ” The previous highest donations in the 2013 election did not even made ​​one month after the election. This raises the question whether the Quandt family / Klatten their support specially wanted to stay out of the election campaign , “says Christina Deckwirth of Lobby Control . She pointed to the ” temporal proximity ” to postpone the vote to CO2 limits for cars in the EU. Background: The EU wants to limit climate of reasons, the amounts of the greenhouse gas carbon dioxide (CO2 ), which pass through the road into the atmosphere. 2020 new cars emit a maximum of only 95 grams CO2 per kilometer on average , in 2025 , only a maximum of 78 grams This corresponds to a 3- liter car. Today, new cars consume an average of six liters of fuel per 100 kilometers. Manufacturers like BMW and Daimler are afraid to meet the new emissions target is not easy . Daimler CEO Dieter Zetsche warned before the meeting in Brussels on tougher conditions. The attitude of the federal government ( represented in the EU on Monday by Environment Minister Peter Altmaier ) is now clear: It urges a degree of “flexibility” . In plain English : According to the German proposals up to 7.5 million passenger cars from EU directives would be exempted , says automotive expert Prof. Ferdinand Dudenhöffer over PICTURE . Since the EU limit of 95 grams of CO2 per kilometer in 2020 would not apply to the German proposal for 20 percent of new cars would be in 2020 three million new cars outside of regulation, then 2.25 million in 2021 , 2022 still 1.5 million . The negative impact would be immense . Dudenhöffer warns: ” The car maker will thus rely more on conventional internal combustion engine and both the demand for electric vehicles and the development of the infrastructure of charging stations before 2025 bob up and down in front of him or be all set . BILD.de BMW : The BMW Group is committed to meeting the C02 limits in Europe for the year 2020 and will also achieve this . Since 1995, the CO2 emissions have been reduced by over 30 % in the fleet. However, companies need reliable conditions possible and a certain predictability. It can only provide guidelines , based on a robust analysis. In the proposed renewed escalation of the CO2 emission limits in 2025 to a corridor of 78-68 g / km , this is definitely not the case . This proposal was politically defined and published without any technical analysis of the feasibility . Even the average target of 95 g / km of CO2 for 2020 in Europe is not achievable without alternative drives . Even more ambitious targets depend only from the future right proportion of electrical vehicles. The EU therefore needs to decide whether they want to combine the reduction of emissions and fuel consumption with a targeted technology policy impulse as other states. It is therefore incomprehensible that alternative fuels should be taken into account in the EU only a factor of 1.5 . In China factor 5.0 is currently being discussed in the United States is a factor of 2.0 . For the industrial location Germany and Europe, it is counterproductive .